No matter what the shortcomings of TheWB.com are, it’s always nice to see more free, legal TV on the Web. 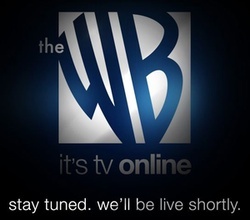 Warner Brothers announced it was resurrecting its defunct WB television brand as TheWB.com back in April. It will be available for all to see Wednesday after an extensive beta period. At the time we liked the fact that a TV exec, Bruce Rosenblum, got the whole TV-on-the-Web thing. “We can’t stick out head in the sand and not acknowledge that there’s an evolution taking place,” he said in April. TheWB.com is rich on content if you like older programs such as “Friends,” “The OC,” “Veronica Mars,” “Buffy the Vampire Slayer,” and “Angel.” It even has full shows of “Friends,” “Gilmore Girls,” and “Veronica Mars” that cannot be found on Hulu, the joint-venture online video site from the NBC and Fox networks that will compete with TheWB.com for viewer attention. TheWB.com does not have the clean, easy to navigate interface that Hulu sports, Albrecht concludes, although it does have a decent search engine and a way for fans to mashup selected clips from each show. “It’s actually a much better experience watching WB programming on Hulu than it is watching it on TheWB.com,” Albrecht writes. Kudos, though, go to Warner Brothers for putting TV content online for free, even if the interface needs a bit of work. The WB is reborn as an online video site offering original programming and "reruns"
Good for the WB – though I wish they would just put all their stuff on Hulu. I don’t want ten different places to remember.